Separated? Divorced? Co-Parenting? Stuck in the pain, anger and bitterness? Are you committed to empowering yourself and your child to master this life-changing event? It is a defining moment for anyone experiencing a Divorce. How this will impact you and your family, depends on how you choose to see and to deal with the challenges that the divorce has left. 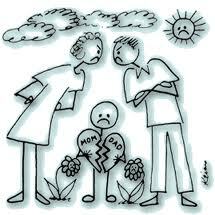 As it is well-documented, divorce is recognised as a stressful life event usually affecting the adults involved, however, a child of divorced parents also experience stress, but lacks the emotional expression, mental understanding and coping skills to adjust to this major stressful life event. To book your spot with the psychologist contact reception on info@psychmatters.co.za or 0114503576.